Do We Need More Museum Teams or More Museum Auteurs? 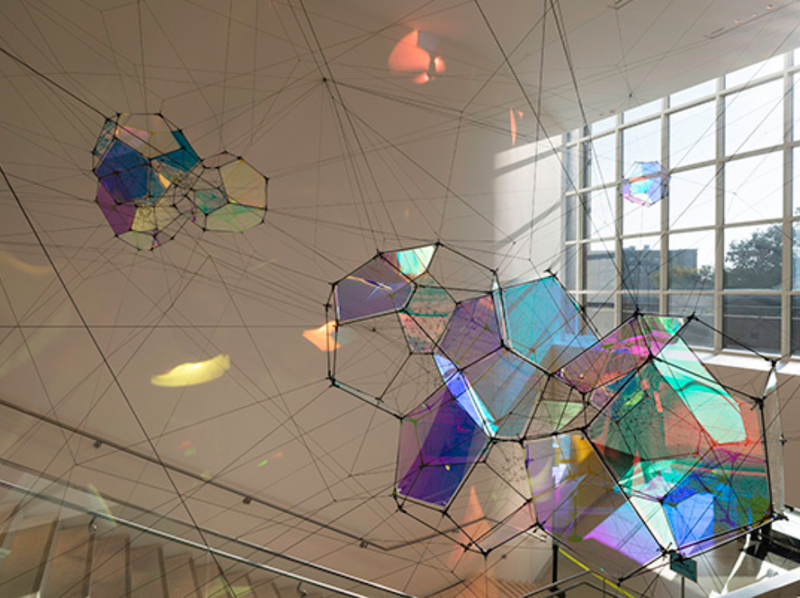 I recently visited the excellent John Waters exhibition at the Baltimore Museum of Art, and as I was walking around the rest of the BMA, admiring site-specific pieces like Tomas Saraceno's "Entangled Orbits" (pictured at the top of this post) I started thinking about how exhibitions (and entire museums) get put together. It seems a lot more straightforward, if less democratic, to pursue one person's design vision than to sit through endless meetings trying to come to agreement among staff and advisors on the direction of an exhibition, or a set of exhibitions, in the case of a new museum. Most granting agencies have essentially mandated an approach that makes all sorts of consensus-building techniques an essential part of the "creative" process --- but has this approach resulted in more interesting exhibitions and museums? The "Creative Team" Conundrum also rears its ugly head when thinking about visitor studies and that Web 2.0 favorite, "crowdsourcing". In the case of visitor studies, most visitors are only able to come up with variations of exhibits and exhibit themes they are already familiar with. Every museum stocked according to audience surveys would likely include a rocket ship or train, a dinosaur skeleton, and a mummy --- not bad, necessarily, but not exactly moving the exhibits field forward either. Crowds and focus groups are notoriously bad at choosing innovations, which is why companies like Apple don't use them. Apple’s attitude is that sometimes, to truly innovate, you’ve got to go beyond giving people what they say they want. Building consensus often builds mediocre, and "safe" (rather than interesting) design decisions. Maybe we need to bring in more "trouble makers" like Fred Wilson to shake up our staid exhibition development models. As Kathy McLean said in a previous ExhibiTricks interview, "I don't really need a lot of money or time to do my dream exhibitions ... I need organizations that are interested in presenting unusual, thought-provoking experiences."